- In an average Saudi wastes 250 kg food annually compared to 150 kg in a global average. It is also revealed that waste is high in the holy month of Ramadan due to leftovers iftars, which will thrown away. - According to a report of USDA and Economic Research Service, the percentage of annual household income spent on food is almost 24% in Saudi Arabia which is highest in GCC countries, where Kuwait and Bahrain spend about 14.5%, Qatar 13% and UAE 9%. 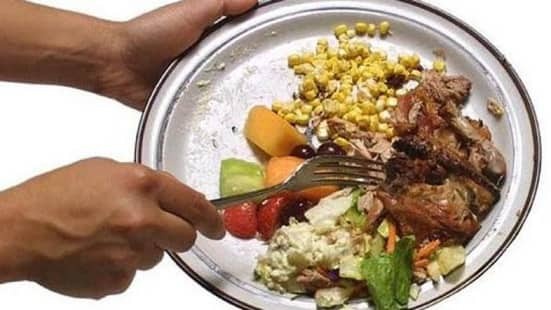 - Individuals and organizations would be fined for leaving unfinished food on your plates because of excessive waste. The figures of wasting food exceeds than estimated annual VAT of 23 billion Saudi riyals.